Ok BEER LOVERS the event you look forward to every year is here…It’s time for the Craft Beer Walk & Chili Cook-Off, Saturday, October 21 from Noon to 5pm inside participating business along Flagler Avenue. Look for the Craft Beer Walk signs! Craft Beer Tasting passports are $20 for 20 tasting tickets that you may use to taste any of over 75 craft beers along the Avenue. 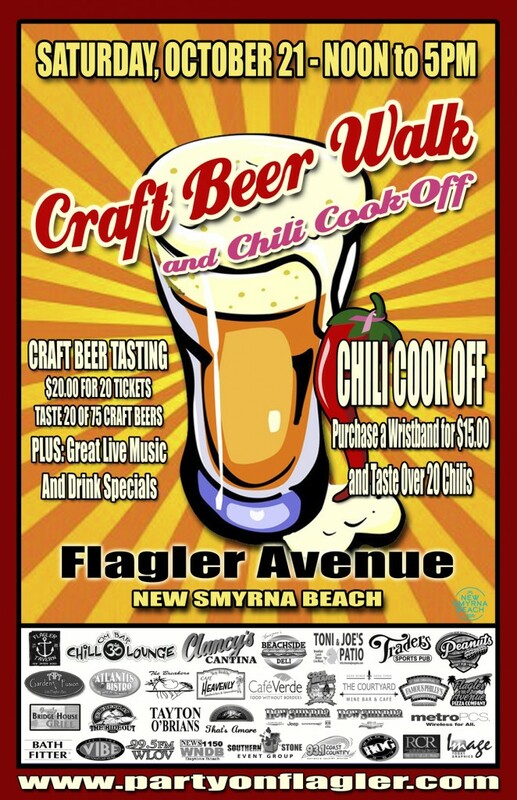 The Chili Cook-Off passports are also $15 which allows you to taste over 20 chilis donated by local area restaurants. Passports available the day of event at the corner of Cooper and Flagler.